With promotions created with the White Label version you can use your own domain (http://www.your-own-domain.com) to communicate the promotion. Communicate the promotion with your own URL. Publish the promotion as a microsite with your domain URL. 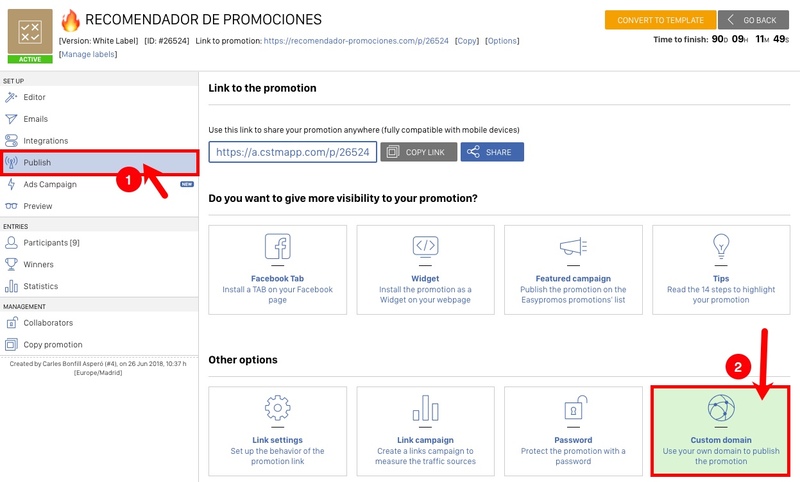 Users will share the promotion link with your domain. Note: you can't use a subdomain and a root domain at the same time. Real case: It is not possible to have www.example.com, and example.com, pointing at the same promotion. You must choose one of them. 4. If everything is correct, the confirmation will appear as the custom domain is correctly configured. Finally, as a last step you should confirm that this will be the domain for your promotion, and the application will automatically generate the SSL certificates for this domain HTTPS support. Note: HTTPS support will be given automatically between 24 hours and 48 hours after you verify the domain. From the left-hand menu click on "Integrations" and select "Facebook". 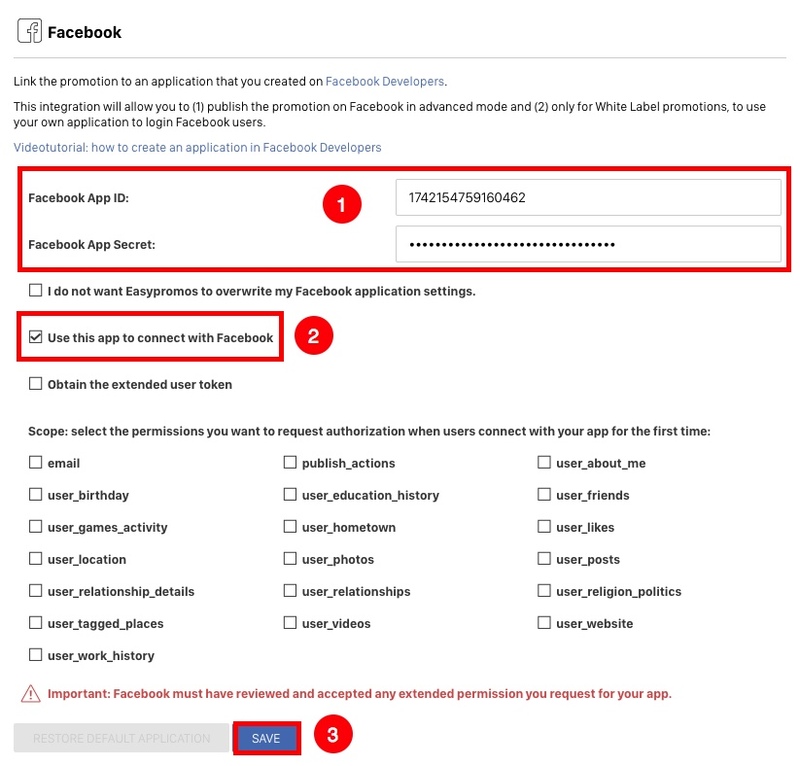 Create a Facebook application and insert the ID and Secret. Follow this video tutorial for a step-by-step guide. Enable the Social Login with Facebook. Enable the option that users can share the promotion on Facebook. Enable the functionality to comment on the gallery's entries.